UniDoc will make your paperwork routine go away. As the name implies, UniDoc or Universal Document lets you create, print and archive documents or references, regardless of their complexity. Instead of directories, you keep all your documents in a centralized UniDoc database where they are easy to find and retrieve. But the biggest specialty of UniDoc lies in its ability to create various types of documents from the templates designed by you. Such documents may be contracts, payment orders, sales checks, various declarations, etc. In just a few minutes, you can fill out all required fields in a template, and voila! The document is ready! 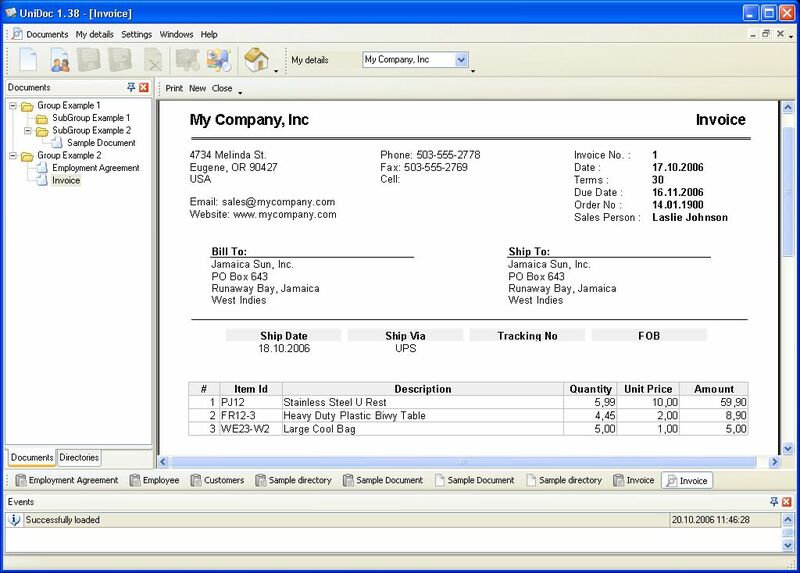 The best in UniDoc is that you have full control over the design of a document. You can specify the number of parameters to enter and their layout in a document. A solid â€˜Printâ€™ designer will let you print a document of any kind in accordance with your personal needs. In addition to documents, you can use UniDoc to create reference books of any type and style. For example, a reference may include the information on currency, personnel, friends, customers, clients. Each reference book allows you to configure parameters that you need for input and print, and use not only those parameters, which are provided for by usual applications. Document archives and lists of reference books are searchable, may be sorted and filtered. For security purposes, UniDoc allows restricting access to its data. You can limit access to the program or enable a particular user to use only one type of an operation. For example, you can grant someone access to viewing documents and printing data from a particular document only. UniDoc has a networking functionality and can work on the Firebird server, with the drivers for MySQL, mSQL, and Oracle being in current development. UniDoc from Soft Balance enables you to significantly reduce the time and efforts that would otherwise be spent on paperwork. You will find yourself becoming more productive at work!